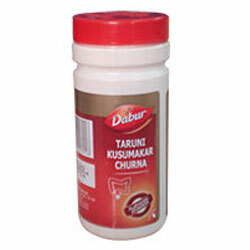 Buy Dabur Taruni Kusumakar Churna Online. Useful in treatment of constipation, abdominal pain and gas indigestion, hyperacidity. It is very useful in treating Constipation, Flatulence, Indigestion, Hyperacidity, Headache, etc.